The jars hanging from the branches are all seal-able. At the wedding, anyone that cared to, wrote a message to the newlyweds for them put in the jars. After the fact, we all decided the tree needed to go outside and wanted the messaging preserved – and not exposed to the Texas sun. There were few pics of the gifts the wedding. 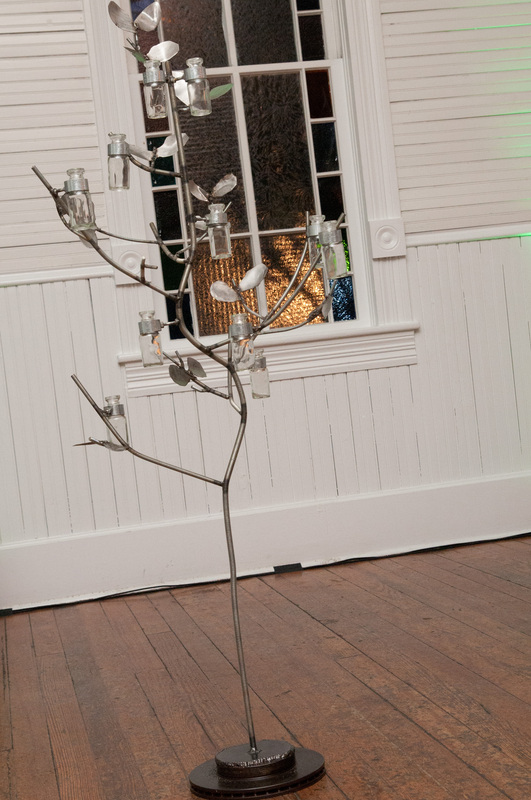 I’m still searching for the ones I took of the Wedding Tree – If I run into more, i’ll update this post.